Update your everyday essentials with this dark blue top. 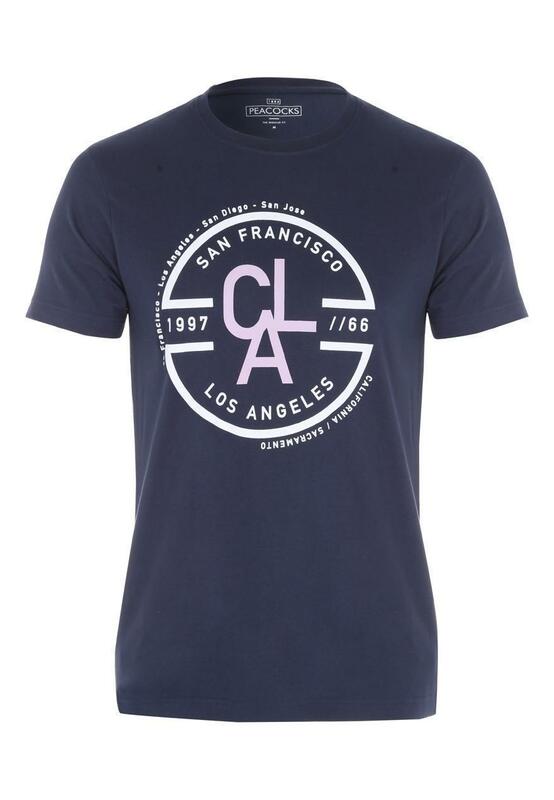 Featuring short sleeves, and finished off with a trendy graphic detail across the chest, reading "San Francisco, Los Angeles, CAL 1997//66". 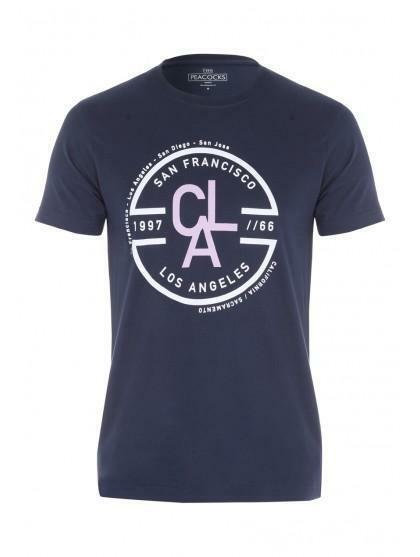 Combine with jeans or shorts as we approach the warmer months.